Gaming looks really radical in the future, and T-shirt and apparel distributor The Yetee is taking this April Fools' Day as an opportunity to show off what gamer fashion might look like in the year 3000. The Yetee's product listings are adorned with stereotypical "gamer" gear, with Mountain Dew soda bottles replacing the cursor and silly graphics everywhere. 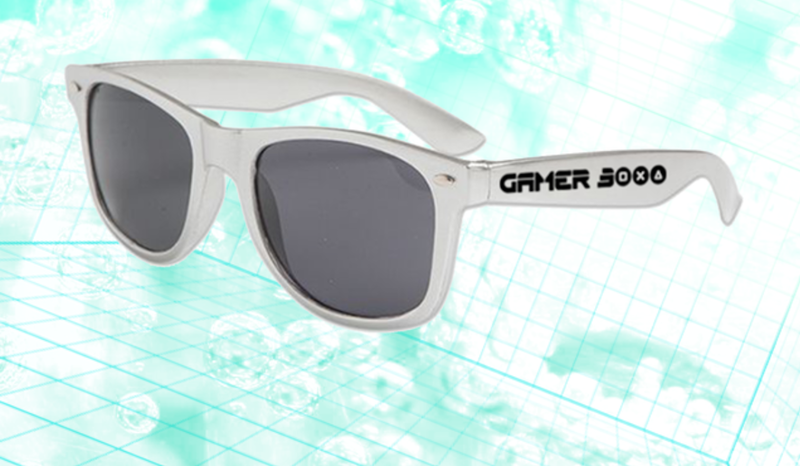 The range of clothing includes a sleeveless hoodie, sweatpants, and sunglasses adorned with the words "Gamer 3000" as well as "pro gamer agility bands," which appear to be small sweatbands for your individual fingers. There's also the "Baja Gamer" shirt, which is another play on Mountain Dew. Perhaps the weirdest product is the "Cronio Triggo" slipmat adorned with a crayon drawing of Chrono Trigger characters. "Show your gamer pride with this celebration of the two major Gamer Food Groups: Gamer Juice and Gamer Dust," the Baja Gamer shirt description reads. These products are all strictly April Fools' Day jokes, because they are priced and you can buy them right now as pre-orders, but it's clear they are only available for one day: April 1. "The Future of gAmInG!! !1" reads the description on the sweatpants. The Yetee is just getting into the spirit of the holiday with all this silliness. If you're looking for a tangible way to get in on the action, you can check out the merch, live now on the website. Make sure you don't get duped into any other of the crazy tricks floating around on the internet today and use your best judgment when trying to determine if something's for real or not, too. That's our best advice.